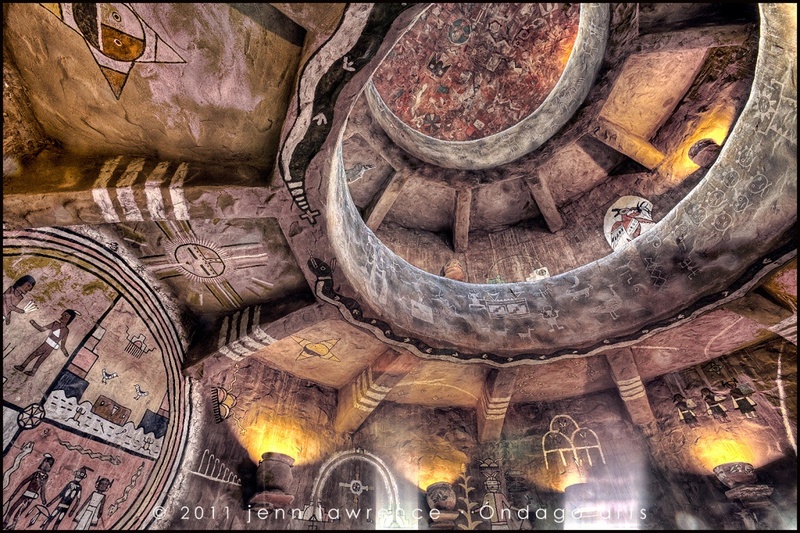 I've always loved unique architecture and certainly I am very drawn to the Native arts and culture. We didn't have much time here and it is yet another spot I want to revisit and explore further. A truly fascinating and remarkable structure! What! This is crazy amazing! Fav! Wonderful, and as always your editing is fantastic!! You have really captured this well. i tried earlier this year at the watchtower and you make it look easy! @peterdegraaff Thank you, Peter! This really was a tough place to shoot actually. Bad lighting, lot of people milling about and I just couldn't seem to find the composition that really showed the wonderful lines of the interior. SUCH a cool place, though! Wow this is amazing. what a place. And a great shot of it too. Wow...you really captured the beauty and intricacies so well. Fabulous shot. This is sooo neat! Love the details! This tower is so cool. I was there a couple of years ago. Want to go back again. staggeringly beautiful. I love the processing. It really does need to be viewed magnified. Another fav for me. This is amazing! Really cool POV! Love the lighting and processing, brings out every detail. Thats just awesome, what an amazing place to visit and a great pic, really great. Wow - amazing - fav! Wow, Iv'e never seen this place look so pretty! Just terrific Jenn! A fav for sure! Really a great capture and treatment. Faving instantly. What an awesome structure, and you did a bang-up job of photographing such a difficult subject. Another place I need to go. Wow. Interesting to see this thru your eyes..HDR is beautifully done!